By clicking the "Submit" button you agree to have Heartland Moving contact you. Lincoln’s Movers – The Best Value In Local Moving! Call Around! It won’t take long to find out HEARTLAND MOVING is the Best Value In Lincoln movers! Serving Lincoln, Waverly and surrounding areas. As Lincoln’s Movers, we will provide you with a fair and accurate estimate for your Lincoln, and surrounding area, move. Whether your need is residential or business moving, we will explain everything upfront – no hidden fees or costs – so there are no surprises. When shopping for movers in the Lincoln and surrounding area, keep in mind that the moving industry is regulated by the Nebraska Public Service Commission. All movers are bound by the same rules and regulations regarding local moves. 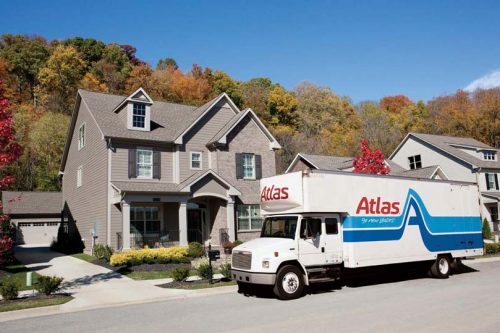 The final cost for your move must be based on the actual move time, which all movers must use. Our hourly rate is competitive with other area movers. Our employees are local, year-round, bonded and insured, and have full background checks – your move will be performed professionally, safely, and on time. When comparing moving companies, the only real variables are the mover’s hourly rate and their quality of personal service. At Heartland Moving, our mission is providing the highest level of professional, personal service. All local moves in Nebraska have to be charged by actual time worked multiplied by a mover’s hourly rate. All estimates are non-binding. When comparing estimates, remember that each estimated cost is based on estimated move time. The final cost will be calculated on actual move time – this will not vary from one company to another. With our competitive rate, Lincoln’s Movers, Heartland Moving, makes your choice in movers easy. At $102/hour, our services are very affordable. After a few calls you will find that our rates are hard to beat – offering a value unmatched by any other moving company. We pride ourselves on our customer service – going above and beyond in providing you with trained, professional service and personal care. Give us a call today to discuss your local moving needs! As Lincoln’s only local, Nebraska-owned moving company, comprehensive moving services for your moves within Nebraska. We serve the entire state, inlcuding moves to or from Lincoln, Omaha, Waverly, Norfolk, Columbus, and surrounding areas. As Lincoln’s leader in personal care and trained professional service, paired with affordable pricing – Heartland Moving offers a value unmatched by any other moving company.